The fascination with Sri Lanka is one that we can’t ever see ending. The combination of lush rainforests, colonial opulence, wildlife encounters worthy of the Jungle Book and the azure Indian Ocean lapping at the sugary shores makes it a Utopian couple’s escape. But no couples escape is complete without a stylish and romantic place to rest your head, so here at H&L we thought we would give you the low-down on 5 must stay boutique hotel havens in Sri Lanka. Perched on a spectacular cliff-top site, just south of Galle Fort on Sri Lanka’s south coast, Cape Weligama overlooks the beautiful bay of Weligama. The area is famed for whale-watching and with the resorts panoramic views of the Indian Ocean it provides the ideal vantage point to enhance this experience. 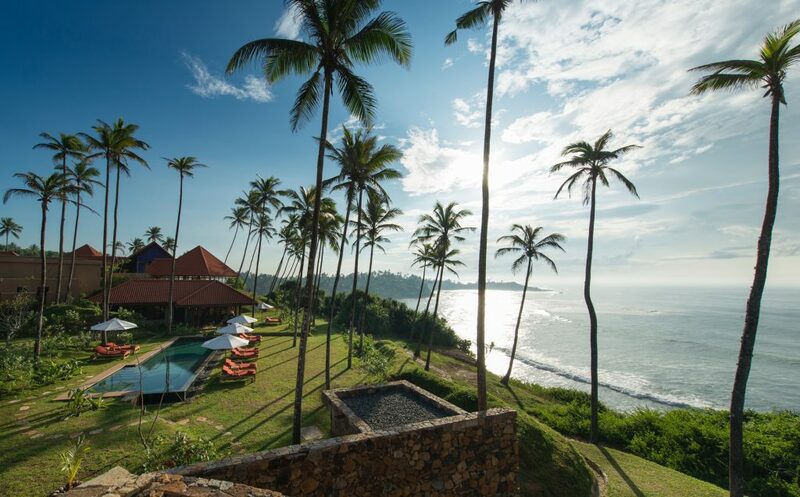 Set within 12 acres of beautifully landscaped grounds, Cape Weligama offer some of the most spacious accommodation in the region. The resort’s timeless interiors have been designed to celebrate three distinct themes, the island’s prominent maritime heritage, its diversity of fauna and the renowned Ceylon tea. 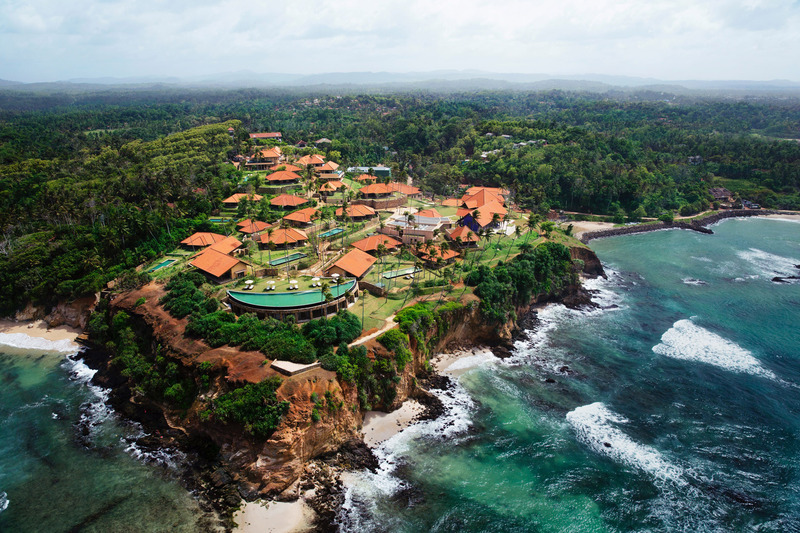 Other resort highlights include an iconic crescent shaped cliff-top infinity pool; in-villa spa experiences with bespoke products made from local teas and spices; a fully-equipped gym and beachside Dive Centre that also offers whale watching in Cape Weligama’s 10-passenger speedboat. Perhaps classed more as a villa than a hotel, Maya is a boutique haven nonetheless. Step back in time and experience the magic of a 19th century Sri Lankan Manor House. Built by one of the ruling elite in Ceylon, Aranwella Walauwa is a classic illustration of 19th century properties – a little gem in the Tangalle area. Interior designer Niki Fairchild first stumbled across the old Walauwa in 2004 and was instantly enchanted. Together with distinguished Sri Lankan architect Pradeep Kodikara, Niki renovated and brought back to life this heritage home. Maya (or Illusion in Sanskrit) is now a stunning villa sanctuary set within Sri Lanka’s unspoilt countryside ideal for a romantic couples escape. 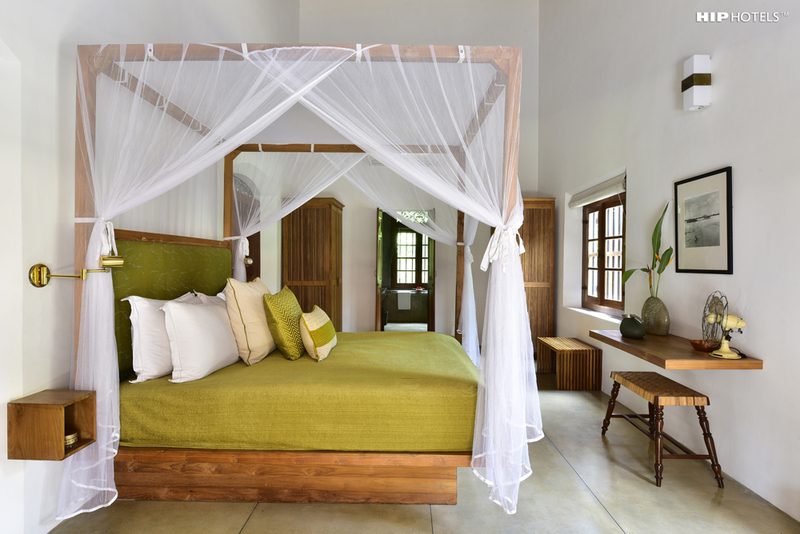 The five suite villa is an exquisitely executed restoration of a Sri Lankan Manor House which pays dutiful homage to its Dutch and British period features whilst blending seamlessly with its new contemporary interiors and original design accents. Activities and exploration opportunities galore, Maya is within 15 minutes of the crystal clear waters of the Indian Ocean. Learn how to surf, picnic on the beach or even catch your own dinner on a fishing trip. For culture vultures you cannot go wrong with being blessed by the head Monk at Maya’s neighboring temple or perhaps venture a little further afield and book onto an excursion to world famous sites; Mulkirigala & Wewurukannala temples. With so much to discover at Maya it is a surprise that anyone ever leaves! Paradise Road The Villa Bentota is a unique and private beachside hotel located 1hr30 mins drive south of Colombo, set on 2 acres of land and housed in the ‘Mohotti Walauwa’, Sri Lanka’s first boutique hotel converted in the1970s by world-renowned architect, Geoffrey Bawa. With a sprawling coconut palm dressed lawn opening out to the sea, 2 swimming pools, a restaurant, a Paradise Road gift store and an art gallery, Paradise Road The Villa Bentota is a must stop for couples travelling down the coast of Sri Lanka. 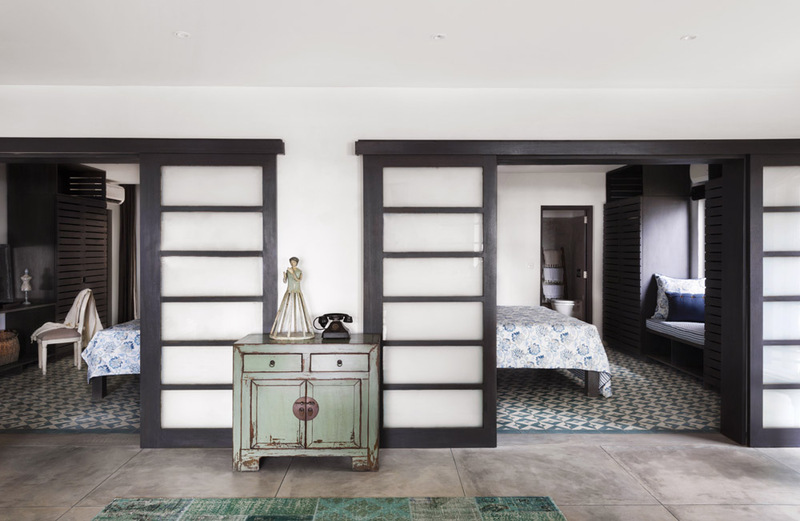 Due to the stylish renovation and design led interior as well as the private charm of the property, it has been visited by such personalities as Sir Paul McCartney, Stella McCartney and Isabel Marant. Surrounded by 58 acres of natural woodland, this 150 year old mansion is the pièce de résistance of this idyllic escape. Award-winning Ulagalla by Uga Escapes is nestled amongst two sparkling reservoirs, paddy fields, lily ponds and was once the ancestral estate of Anuradhapura nobility. 19 luxurious villas dot the sprawling estate. Eco conscious couples will appreciate that Ulagalla has been designed to enhance its natural surroundings and ethos with each villa constructed using environmentally friendly material, Durra. Made from straw, Durra reduces the transmission of sound, is 100% recyclable and 10 times stronger than dry wall. Every Villa is lit by LED bulbs, uses environmentally friendly gas for air-conditioning and a heat recovery system to heat water, effectively reducing the estates’ carbon footprint by 80%. In-room highlights include a four-poster bed, separate living room with 42’ LCD TV, a private plunge pool with air jet bubbles and spacious outdoor decking for dining and lounging. Ceylon’s finest Tea and Coffee is also available in all Villas- a must try for any Sri Lankan traveller. During your stay, cycle through villages, go kayaking, test your skills at Archery, Horse Riding or try your hand at a Sri Lankan cooking class. Nature lovers can witness the fifth largest elephant gathering in the world at Minneriya National Park, or visit Wilpattu National Park to spot a leopard or illusive sloth bear. After a long day exploring why not embark on a culinary adventure at Ulagalla. For the ultimate romantic private dining experience speak to the knowledgeable team who will be more than happy to arrange something, or if all else fails, dine under the stars for a truly magical evening. Owl and the Pussycat really are the new kids on the block when it comes to Sri Lanka’s boutique hotel scene, bringing a fresh contemporary buzz that only recently launched hotels possess. Owners Reita Gadkari and Shane Thantirimudalige, both leading property developers, have created a hotel that offers sophistication with a lively seaside atmosphere and access to an unparalleled authentic Sri Lankan experience. 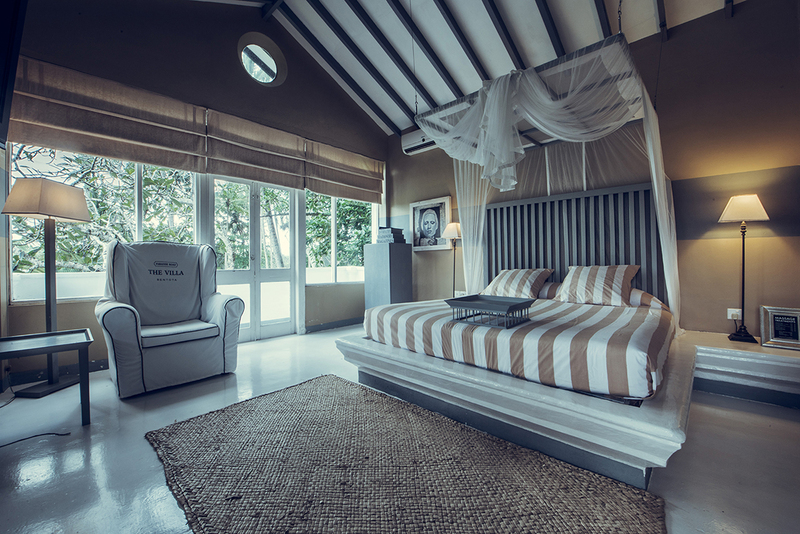 Reita Gadkari has spent over 23 years developing property and interiors around the world in New York, London, Mumbai and Italy so it is no surprise that the Owl and the Pussycat is climbing the list for the top boutique hotels in Sri Lanka. Having opened in 2016, Owl and the Pussycat offers guests a luxury long-haul hideaway, located in the southern coastal town of Thalpe, just a short Tuk-Tuk ride from the historic Galle Fort. Painted in deep pastels and vibrant bohemian hues, the property is designed by New York architect Uday Dhar. The hotel’s furniture, colourful textiles and artwork are hand-made by 20 artisans from all over the world, including local craftsmen. The property boasts generously sized rooms and suites with views of the sparkling Indian Ocean as well as a restaurant with a Head Chef and Pastry chef offering traditional Sri Lankan cuisine with Mediterranean accents and a beautiful swimming pool. Here at H&L we are in love with the fact that the hotel supports a local orphanage by presenting the children’s handmade owl and pussycat dolls in the hotel rooms at turn down. These are also sold in the hotel shop and all proceeds are given straight back to the orphanage.